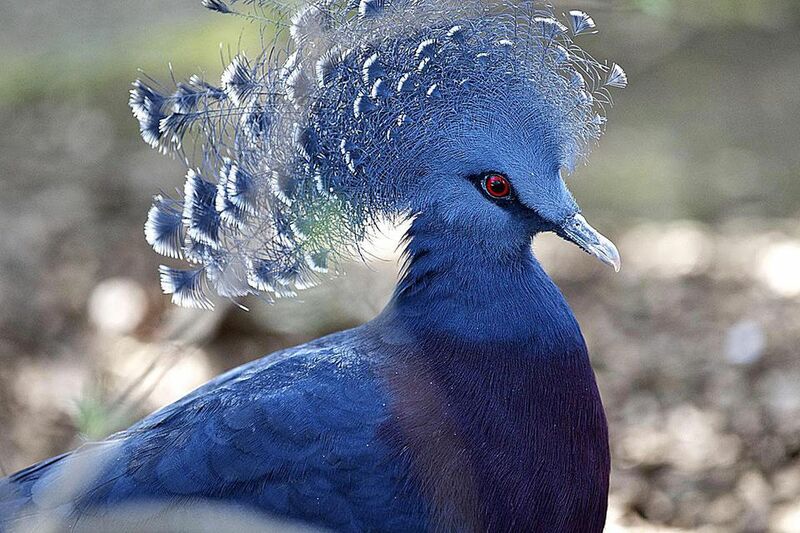 The closer look of Victoria crowned pigeon. Commemorates the British monarch Queen Victoria, the Victoria crowned pigeon (Goura victoria) is the largest pigeon in their family. 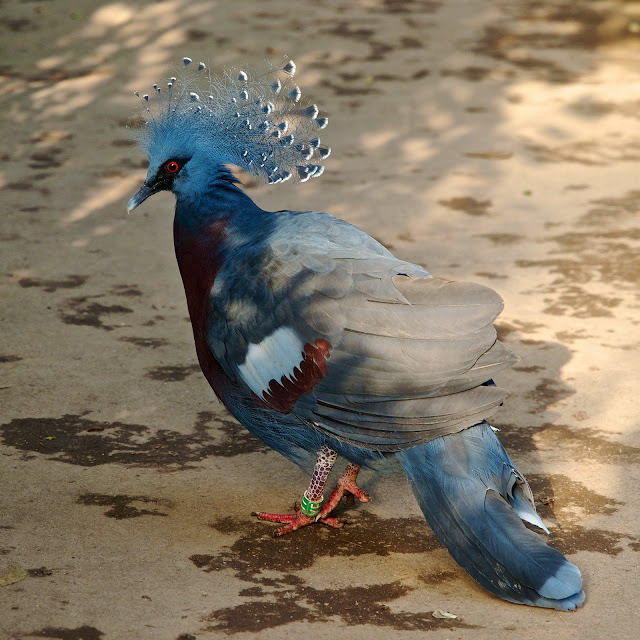 It is so easy to recognize by its size, bluish-grey pigeon with elegant blue lace-like crests, maroon breast, and red irises. 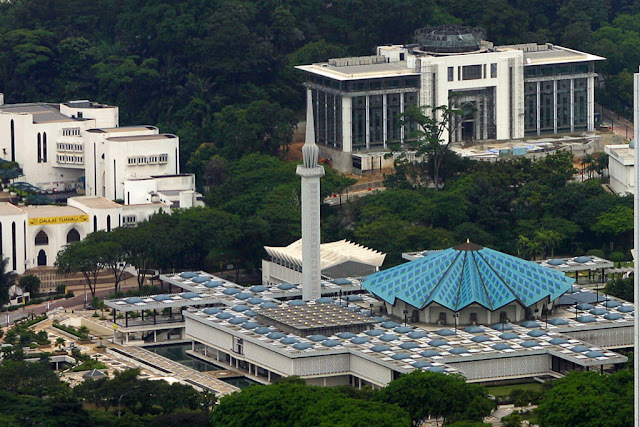 It is part of ground dwelling pigeons from more than 40 species of pigeon can be found in New Guinea region. Being the largest it reaches the size typically 73 to 75 cm (29 to 30 in) long and weight of up to 3.5 kg (7.7 lb). 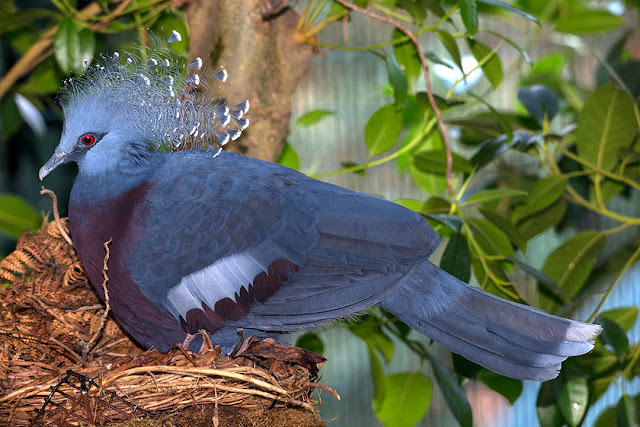 There are two other crowned pigeon that slightly smaller that also live in New Guinea. The Victoria crowned pigeon at Gondwanaland Zoo Leipzig, Germany. The Victoria crowned pigeon at San Diego Zoo. Crowned pigeons have 16 tail feathers while there’re only 12 in any other pigeons. The easiest way to recognize the crowned pigeons is by its superb fan-shaped, lacy crest of plumes on the head of both sexes. All crowned pigeons live on the forest floor, flying into the three only to roost or nest. Because of its size, they produce a loud clapping sound when it takes flight. 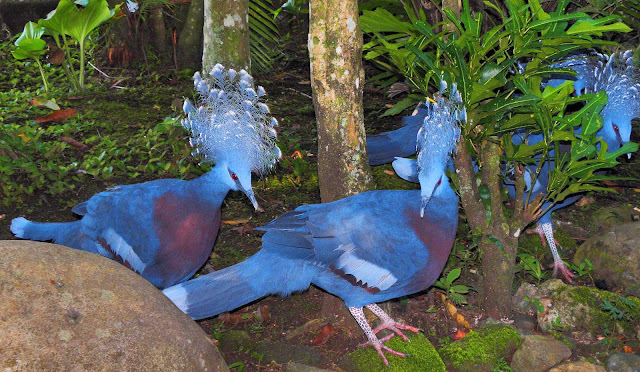 They also have similar mating calls as the other two species of crown pigeons with courtship display. This bird will enjoying walking on the land. They also can easily found moving in pack. 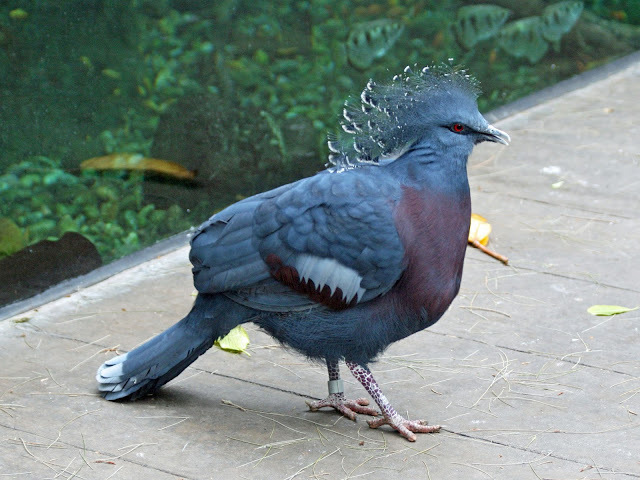 Even though easily breed in captivity, the Victoria crowned pigeon become rarely in their own natural habitat due to logging and hunting for its plumes and meat. Trapping of pigeons to be kept alive for captive collections is now illegal, but is still likely to be occurring. Now you can see this bird in most zoos and bird parks all around the world.